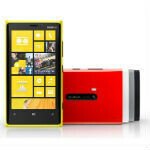 The Verge is reporting that Verizon is about to get a special flagship Nokia Windows Phone device for its network. The device is codenamed the Nokia Laser, and is apparently planned to be launched alongside the Nokia Catwalk device that we had heard about. The Nokia Laser is said to be a variant of the Nokia Lumia 920, so it will likely feature the same polycarbonate/ceramic body of the 920 rather than the reported aluminum body of the Catwalk. So far, there is no word on how the Laser will be different than the Lumia 920, but the rumor says that Microsoft is planning to throw all of its weight behind the device (as if Microsoft hadn't been pushing for others). The device will be displayed and pushed by Verizon along with other flagships like the iPhone, Samsung Galaxy S series, and HTC DROID DNA. I suspect sales (or lack thereof) will kind of depend on how the new Nokia does against the rest of the competition. The GS IV is going to be dropping soon (June or July 2013 is my guess). RIM's toys will start to appear in the March/April time. HTC is supposed to have a follow-on to the DNA around the April or May time. Is Sony going to have a version of the Experia Z/ZL available for VZW? Apple won't be snoozing, either. Lots of company for the Nokia phone. A warmed-over L920 might not be able to stand out from the crowd. Hope it does well, but it will definitely have some stiff competition. More the merrier. The 822 is decent, but I'd like to see better. Verizon doesn't have any members of the HTC One series, unless you want to consider the HTC Rezound and/or Incredible 4G LTE members of the One series; or they might be getting this years variants of the One series. Too right. I meant to put the DROID DNA. Thanks for the catch! Awesome, happy to see Verizon get one of these. Due for an upgrade in March-April, so I was really hoping to have a high end Lumia option. This will really be interesting, as I'm more open now than I ever have been to all of the platforms: BB10 looks exciting, Jelly Bean looks great, WP8 looks great. I respect iOS, but don't really find it too interesting and hate iTunes. How is this not good news? Good to see Nokia getting a device worthy of the largest US Carrier on the shelves to compete with the 8X. I hope the Verge's source is correct I am a Verizon customer and like a lot of Verizon customers I started to jump to AT & T to get a Nokia Lumia 920 but did not. I hope that Nokia has learned to be like Samsung, HTC and other smart phone Manufacturers and Put their Flagship model on more than one Carrier for a company not to have their Flagship smart on Verizon is Folly since it's the USA'S most respected carrier. Nokia is Debuting a new Aluminum body flag ship Smart phone. We can only hope that they will have it available for sale on all USA Carriers and break away from this AT & T only gets the Nokia Flagship smart phone Nokia seems to have as a policy. Hope This comes to sprint in the summer when they are supposed to get their windows phone 8 models. I'll be all over this.